My world was shattered on this day last year when I heard of the sudden passing of my dear friend, Rick Stilwell. It's hard to believe it has already been a whole year; the hurt from the loss still feels so fresh. 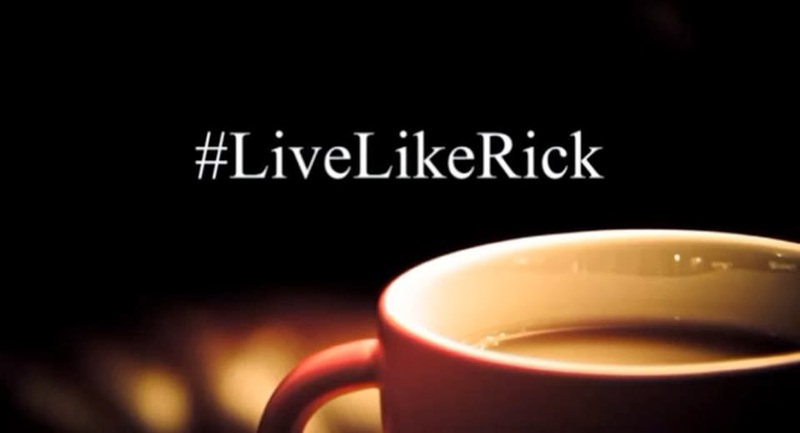 After Rick passed, I made a commitment that I would make a solid effort to #LiveLikeRick. Everyone who knew him understands the basis of this philosophy. I am not going to try and expound on that today. I have covered that ideal elsewhere on the blog. What I want to offer today are some of the lessons that #LivingLikeRick has taught me this year, and how I have tried to honor his memory the best way I can. 1) Genuinely sharing your faith doesn't always require words. One of the things Rick used to say is that if sharing your faith requires a lot of words, then you are doing it wrong. Rick was the same person alone and in the dark as he was in public. I have tried to achieve that standard in my own life this year.